PUNE: Maharashtra Governor Vidyasagar Rao expressed serious concern over the poor ranking of universities from Maharashtra at the national level and asked vice-chancellors to prepare a detailed strategy for improving their standing. All universities in Maharashtra except Pune were ranked above 150 in the National Institute Ranking Framework (NIRF) declared by the HRD ministry recently. 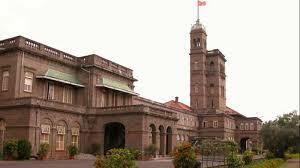 The Pune university was ranked ninth in the list of best varsities in the country. The governor, who is also chancellor of universities in the state, emphasised on the need of examination reforms. Referring to the 'serious negligence' in the evaluation of papers and declaration of results in the University of Mumbai, he asked VCs to accord top priority to declaration of results of all exams in a time-bound manner. Rao called for according top priority to examination reforms, including end-to-end computerisation. The governor was addressing a meeting of vice- chancellors and pro vice-chancellors of non-agricultural universities in Maharashtra here. Chief Minister Devendra Fadnavis was also present. Asking universities to form a task force for conducting academic audit, the governor urged them to take appropriate action against institutions which have substandard infrastructure and large deficiencies in teaching and non- teaching staff. Referring to the issue of performance appraisal of VCs, Rao said, "We need to put in place a mechanism for performance appraisal of vice-chancellors so as to bring better accountability in the system." Making a reference to the tours of VC, the governor advised them to keep their tours outside the jurisdiction of their respective university "to the minimum." He regretted that at times VCs were leaving the headquarters of their respective university without the prior permission of the chancellor. Rao expressed serious concern over the poor ranking of universities from Maharashtra in NIRF. Expressing displeasure over the fact that all universities in Maharashtra except Pune were ranked above 150 in NIRF, Fadnavis asked VCs to go on a 'mission mode' to improve their positions by next year. He said universities in Maharashtra should become 'creators of knowledge' and not remain content being 'disseminators of knowledge'. Fadnavis appealed to VCs to make university campuses across Maharashtra 'clean and green' by achieving zero garbage and zero discharge status and by increasing the use of renewable energy. Observing that some of the universities in Maharashtra have 700 to 800 colleges affiliated to them, he called for creating an IT-based management system to manage the large number of colleges. The chief minister further called for encouraging more colleges to become autonomous.